When I found out about homeschooling, I was shocked. Then I watched and thought and was intrigued. Then I decided that it was what I wanted to do. Then I fell in love with and married a man who was all for homeschooling our future family. Then we had a baby (and two more). I started to study. I read all kinds of books on homeschooling and educational philosophy. I spent hours and hours reading and participating on the Well-Trained Mind Forums. I read lots of blogs - well that wasn't new. I could have used my time more wisely. 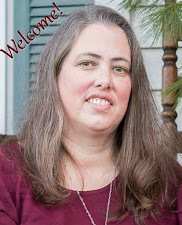 I'm blessed to be in a position where a number of new homeschoolers ask me for advice. The first thing I tell them is that my advice will sound crazy and hard and that I didn't listen to it when it was given to me, but I wish I had. There is so much pressure on homeschool moms - often from ourselves - to show production. We feel pressure to produce Harvard graduates at 16 and therefore to push academic success younger and younger. 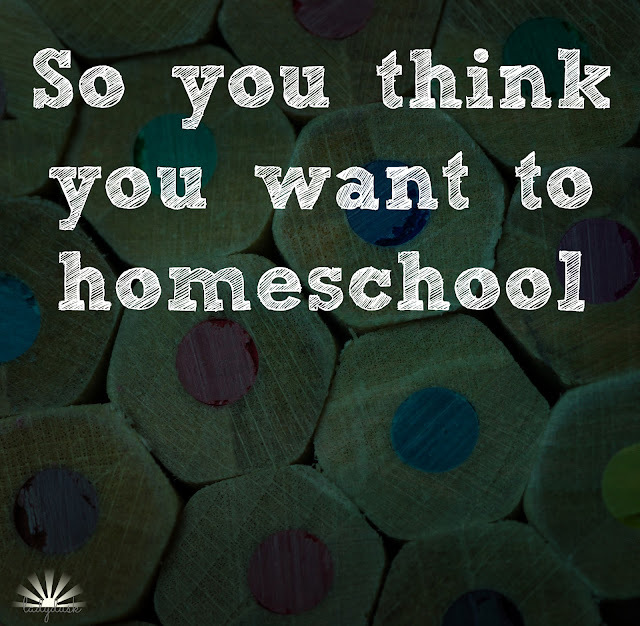 I'm a people pleaser enough to know that I had high pressure on myself with my high fantasies of what homeschooling could be and what homeschoolers can do. Homeschooling has become very mainstream throughout most of the country. When we're out and about during the school day, people may ask if there's no school, but they never bat an eye when we explain that we homeschool. This is very unlike the pioneers of the homeschool movement whose children would hide if there was a knock on the door during the day. I think we need to be conscious of the rapid growth in the homeschool movement, in general. In the 1980s, there was definitely a need to show results - often advanced, and perhaps unhealthily so - because homeschooling was so rare. Today, because many people saw the success of those early pioneers, the practice has grown by leaps and bounds but we haven't let go of the need to prove advanced results. Oddly, though, the desire for the results has not continued with a focus on the same means to education. I see many homeschoolers bringing modern, utilitarian teaching strategies home; those very strategies and the philosophies many of us (and many of the pioneering generation) find appalling and part of the reason we homeschool. This desire for results, the fruit of comparison, defining children as "ahead" or "behind" is, in my opinion, unhelpful at best and sinful at worst. So, my next advice is to define why you want to homeschool. What are your purposes and vision for homeschooling. Vision is good, fantasy is fantasy. Think about the difference. Start with only a vision while your little ones are toddlers and preschoolers. Do you want to create a family culture of learning? Do you want to attain killer test scores? Is your vision one of school at home? Is it diligent or rigorous or vigorous or get er done? My best advice, though, is for mommys like I was: chomping at the bit to start with their preschooler. Relax. (Yes, I said that already) Listen to Celeste Cruz on the Your Morning Basket podcast. You don't really have to start homeschooling with a three-year old (or four or five year old). Especially for those preschool years, homeschooling is good parenting. Live life together, organically. Children are born persons, treat them like persons not vessels to be filled. Read good books with and to your children. Read from and learn passages of the Bible - and not just the 'thou shall nots' but the parables and stories. Check out Read-Aloud Revival for booklists, resources, and ideas. Point out pictures, find Goldbug (in Richard Scarry books). Read lovely chapter books as a family. We do it at dinner with Daddy. My husband and I could then model discussing a book and it's ideas when they were small ... and now we can all converse. Say Nursery Rhymes. Read some obscure ones, but tell 'Jack and Jill' and 'Jack be Nimble' and 'Humpty Dumpty' and 'Little Jack Horner' from memory. Don't try to make them memorize them, just say them over and over and they will. Walk in the Woods. If you need a purpose, check out geocaching. Otherwise, go and look at and try to name the flowers and the trees and look for tracks in the snow (and mud). Play. Games like suspend and Qwirkle are fun with littles. Figure out how to do big people games on a small people scale, even if you're just sorting bananagrams letters into piles. Do puzzles together. Build Lego. Play house and dolly and dressup. Play outside. Get muddy on purpose. (shudder) Pick dandelions and put them in a vase. Rake leaves and jump in them. Pick up sticks and burn them in a fire pit, cooking marshmallows for smores. Backyard baseball or soccer. Do meaningful work. Clean, laundry, cook, garden, put up the fruit you picked. Serve someone else. Count some things. The three cans of tomato soup you get out of the grocery bag. The cups of flour you put in the cake batter. The candies in the bag. (hmmmm ... these are all food) The handfuls of laundry from the washer to the dryer. "How many more would I need to have this many?" Cut and glue and color and paint and playdough. Yeah, you gotta. But you don't have to glitter. You can put yogurt or pudding in a ziploc bag and press out all the air and let them draw with it. Or paint with water outside on the rocks. Sidewalk chalk - maybe even some hopscotch or four square. Use big vocabulary. Don't talk down to your kids; they are gaining vocabulary by leaps and bounds. If you want them to use sophisticated words and ideas, you have to provide them with some. Babytalk (a little, and mostly in tone of voice not word choice) is for babies, not toddlers and definitely not preschoolers. Ask Questions. "What do you think will happen if we ___________?" "How many _________ are there?" "Why do you think I _________?" Answer their bajillion questions. Just be prepared for the questions. Don't squash them. Answer them patiently (that can be the hard part!) and if you don't know the answer show them how to look it up - either in a book or on the internet. Show them that information is valuable. That learning and knowing is everyday. Practice self discipline. Practice self discipline for yourself and teach it to them. Especially tidiness and obedience. Eat good, nutritious food. Sleep good sleep. Read a classic novel or two a year. Put down the education philosophy book. Spend some time with the 'Great Books' as part of the Great Conversation. Reading, discussing, writing, (blogging?) about them. Feed your mind, too. Find your Sisters. Here's the why of my advice. Learning is fun. If you - who are so excited to sit down with a schedule and a phonics curriculum with a 3 year old (that was me, remember) - if you push too soon, you have the chance of killing your child's natural Wonder about the world around him. That's the last thing you want to do. Trust me. Put back the phonics book and the math book and the science readers for them. Look at some beautiful things. Live a life where you seek truth, goodness, and beauty. Seek Jesus. If education is, as Charlotte Mason enjoins us, "an atmosphere, a discipline, and a life" make it so. Her formidable list of attainments for a child of 6 is a formidable challenge. I challenge you to attain them with your six year old. I know this sounds all pie-in-the-sky. You don't have to do all of these every day. You don't have to do them every week or month, either. I hope that's obvious. 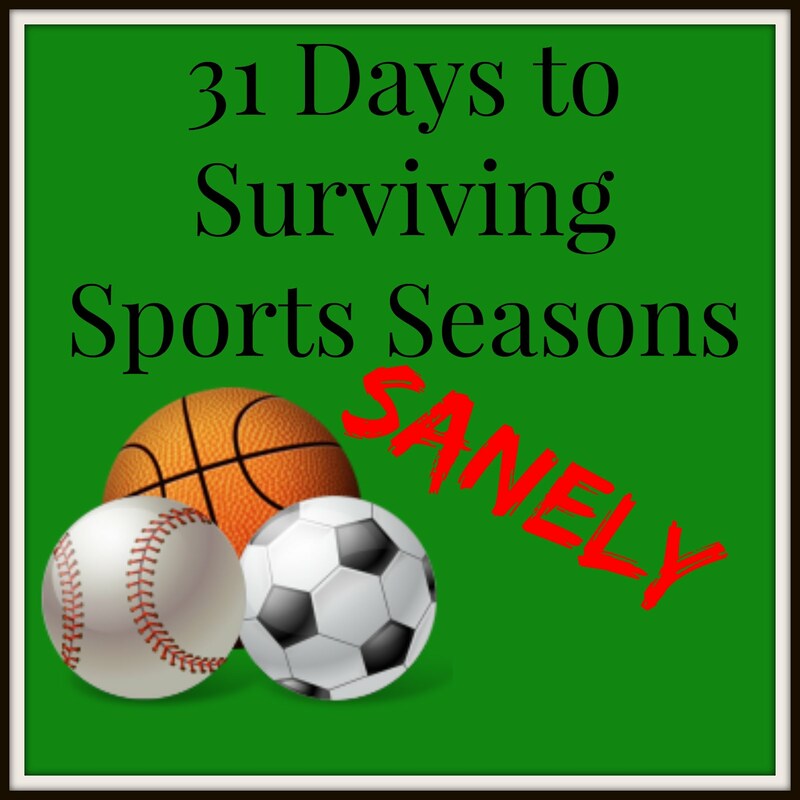 The days are long, the years are short. Great list, and so true. It's often tempting to push academics in the early years (especially with first borns), and it can be hard to accept that it's "enough" to do the things you've listed. Ah, hindsight. Yes. So hard to hold back when you're academically minded. Hindsight is right. I just hope this helps someone with youngsters. Such a wise post with many good ideas! Needed this so much today. Woke up full of anxiety instead of giving it over to Jesus and thanking Him for the opportunity to do life with my little people. Thank you, for this, and thank you to Pam Barnhill (Homeschool Solutions) for directing me here. I'm very much inspired when I've visited your blog. your blog is very nice and informative! Hope you will continue with new article.